Living with back pain changes who you are. It changes who you are physically and that limits your range of motion. It changes who you are mentally because it causes you to think twice before making a movement that you would otherwise do without thought. It changes you emotionally because it affects the way that you interact with and feel about friends, family, and close associates. We understand how challenging back pain has made your life. For this reason, we are eager to work with you to find a pain management treatment program that will work right for you. One procedure that has offered relief to some of our clients is a laminectomy.What is a Laminectomy? On the back of your vertebra, there is the lamina. This is what covers over your spinal canal. 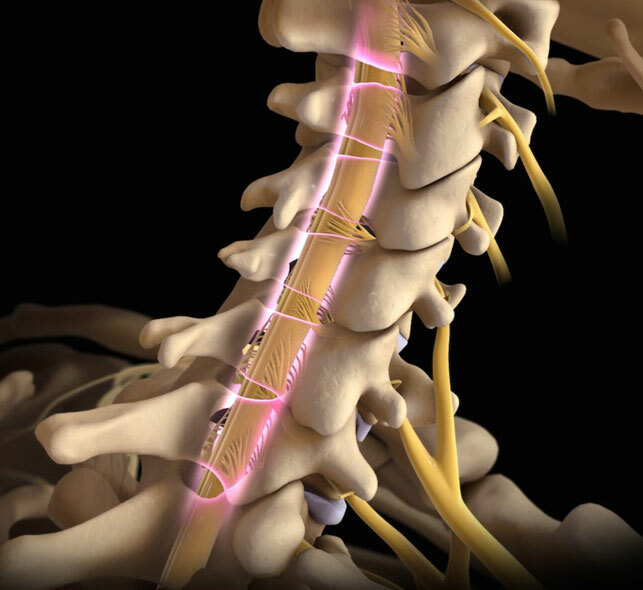 A laminectomy is a procedure where the lamina is removed, thereby increasing the size of your spinal canal and removing pressure on the spinal cord and spinal nerves. This procedure is usually performed on individuals who have bone spurs or bony overgrowths in the spinal canal. This is more common with individuals who are suffering from arthritis in their spine. Since it is an invasive procedure, a laminectomy is performed when more conservative treatments like medication, injections, and therapy don’t work. Laminectomy is often used when a patient is experiencing symptoms that are severe or symptoms that are progressively getting worse. Why Is a Laminectomy Performed? If you have bony overgrowth in your spine, the finite space of the spinal canal gets smaller. This causes pressure to be placed on your spinal cord and on the nerves that run through your spine. This added pressure causes pain that you will feel radiating in your arms and in your legs. Laminectomy is effective at addressing the radiating pain caused by nerve compression, but it is not always as effective at relieving the actual back pain you feel. A laminectomy may be performed by your doctor during a disc herniation surgery. The doctor may need to remove a portion of the lamina to have clear access to the disc. Yes. Generally, a person can have a laminectomy with little to no side effects. But since it is a surgery, there is some inherent risk you should know about. During the procedure, your surgeon is going to put you under general anesthesia, so you will be sleeping the whole time. Throughout the procedure you will have an entire surgical team monitoring your heart rate, blood pressure, and other vital signs. Next, the surgeon will make an incision in your back, moving the muscles away from your spine to gain access to the area where they will be working. Precision instruments are used in the removal of the appropriate lamina. If the laminectomy is being performed in conjunction with a discectomy, the surgeon will repair the herniated disc and remove any sections that have broken loose. The surgeon will examine your vertebrae to see if one has slipped over another or if you have spine curvature. If so, they may do a spinal fusion, connecting multiple vertebrae together and if necessary installing metal rods. When the procedure is complete, the surgeon will close up the incisions using staples or stitches. When surgery is complete, you will be taken to a recovery room. The medical staff will monitor your recovery from anesthesia and from the surgery. They will ask you to move your arms and your legs to verify that everything is functioning as it should. You will be given pain medication. A few days after the surgery, you will begin physical therapy to improve your flexibility and strength. During the recovery process, you’ll have some limitations. Common movements such as bending and stooping will be prohibited for a few months after the laminectomy. Depending on how strenuous your job is, you may be able to return to work after a couple of weeks. You should expect six months recovery time before returning to normal activities. A laminectomy is likely to improve radiating pain caused by a compressed nerve as opposed to back pain. If your nerve compression was caused by the buildup associated with osteoarthritis, it is possible that this buildup will begin again and that the symptoms may return with time. Our goal is to help you find relief from your pain. We understand how pain has affected every aspect of your life, and we are determined to help you get back to living the life you deserve. One of the first things we are going to do when you visit our clinic is sit and listen. We want to know about your pain, we want to know about the procedures you tried in the past, and we want to know what your pain management goals are for the future. With this information, we will build a short-term and a long-term pain management system. In the short-term, we just want to get you up and moving without pain. In the long-term, we want to help you to achieve a pain free life. We treat our clients on an individual basis. There is no one-size-fits-all treatment for clients because we realize that the pain you experience is drastically different from the pain that another individual experiences even if they have the same condition you do. We will never minimize or doubt your pain. We understand that the pain you feel is real. It is not in your head, it is not an exaggeration, and it is not a plea for attention. We also understand that the pain management process is not something that happens overnight. For this reason, you must be patient with yourself, as we will be patient with you. We will never give up on you. Our goal is to help you get your life back, remove and manage your pain, and have a positive outlook for the future.